About | Michitsch Systems Inc.
Michitsch Systems Inc. is a fundraising software consulting firm, specializing in The Raiser’s Edge™ and Income Manager™ fundraising software support. We are a Canadian owned and operated business that has been serving the not-for-profit industry since 1992. Based in Vancouver, BC, our client base extends throughout Canada and the United States and comprises many sectors including health care, education, community services and the arts. We have built our business on a foundation of core values and skills that provide our clients with the best possible business solutions. We have grown steadily through the years thanks to strong repeat business driven by client satisfaction with our approach. Our mission is to harness our knowledge of fundraising management & fundraising systems, to create long lasting, high quality, innovative and well-supported solutions for our clients. Our vision is to help our clients raise more money! Our project management team is made up of experienced fundraisers and IT professionals who understand your needs and will translate them into viable solutions. Cathy attended Blackbaud Annual Conference in Austin, TX specifically to understand the new Raiser’s Edge NXT product being released soon and various issues with Luminate Online. 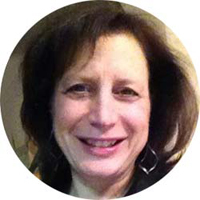 Cathy feels it is important to attend this conference annually to bring back and share information with clients that are unable to attend. 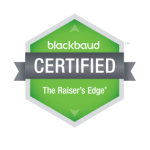 Cathy completed the Fundamentals Blackbaud Certification exam in 20 minutes (after years of consulting on Raiser’s Edge) and attained her Fundamentals Raiser’s Edge Certification. 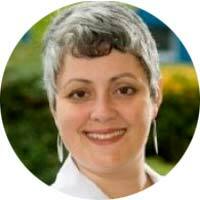 In 2016 she will pursue more Blackbaud certifications. Cathy has been teaching for Computer Systems and Academic Studies at BCIT since 1989 and was given her 25 Years of Service plaque in the Spring of 2015. Computer Systems professional with over 15 years of experience administering Raiser’s Edge databases. Accustomed to providing timely, comprehensive reports and mailing lists; overseeing gift processing staff; liaising with accounting staff and supporting development staff as needed. Over the years, we have had the pleasure of working and building lasting relationships with a variety of clients from the non-profit and business sector. Seeing as there are so various families buying online and likewise exploring the web market place, it has get quite famous to get medicaments online. For example Antabuse is used in given people with chronic alcoholism. Creates an disagreeable reaction when drinking alcohol, which reduces the desire to drink. While erectile disfunction is more common among older men, that doesn’t slightly you just have to live with. What about sexual disorders and “does generic viagra work“? Perhaps every man knows at least some about “generic viagra“. The most momentous point you need look for is “generic viagra review“. Typically, having annoyance getting an erection can be embarrassing. If you have difficulty getting an erection, it’s considerable to visit a able physician before ordering any sort of medications. In addition, internet is the alternative way to get any type of medications as it provides the pleasure of purchasing through your own personal computer.